The digital age has always been about cramming more into less. But there has to be a practical minimum at which DJing becomes impractical. So imagine the task given to the clever people at Allen & Heath - please squish 4 decks into a laptop sized bag. They did a hell of a job with the xone: 3D and 4D, but no - they needed smaller dammit (fist thuds on boardroom table). Oh and one last thing - they want it plug and play as well as MIDI and effects and cue and loops and ridiculous ins and outs and at ridiculous high quality� and for less than the price of a 4D. That's quite some task, but the bitter pill was sweetened with the addition of Serato's ITCH. What came out was the xone:DX and an eye-opening DJ experience for this vinyl veteran. One often seen box of tricks on skratchworx is Behringer's seemingly too good to be true DDM4000 all singing and dancing 4 channel with effect MIDI mixer. Coming in at an obscenely low �310/$399, feedback tells me that it punches considerably above it's weight. And now you can make it even better courtesy of a custom Infinium fader. 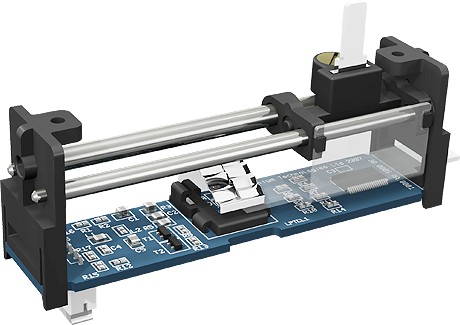 Called the X1 (yes just like NI's controller), this is a familiar Infinium optical fader made specifically for the DDM4000. Big thanks to Nanofox for the tip. NAMM is here again. No not the Winter one in Anaheim, but the lesser known one Nashville. Skratchworx won't be in attendance, if only because the big DJ guns tend to get wheeled out in January. 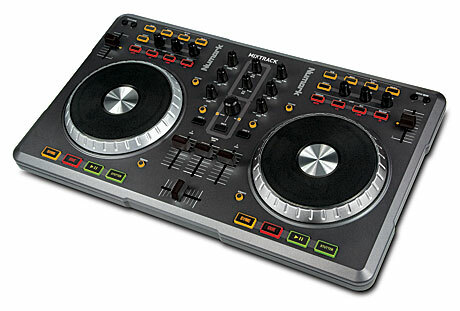 But as ever, the mighty Numark corporation is there and has some stuff of interest - namely MIXTRACK. Seems that it's MIDICON 2010 round these parts. 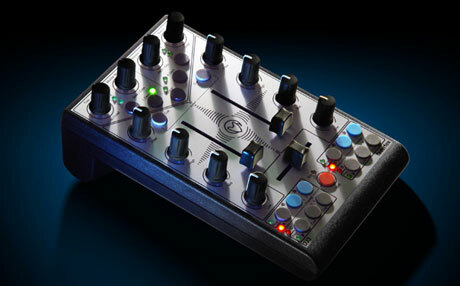 Controllers are popping out of the woodwork at an alarming rate - this time from long time German maker Faderfox. They've clearly be building on the foundation of a small but loyal following, and honing the range just that little bit further. There's 5 to choose from, but the mass market appeal has just taken several steps up the popularity ladder with one fell swoop - they're now USB. Rejoice. As ever, closely guarded technology secrets are leakier than BP's oil pipes. 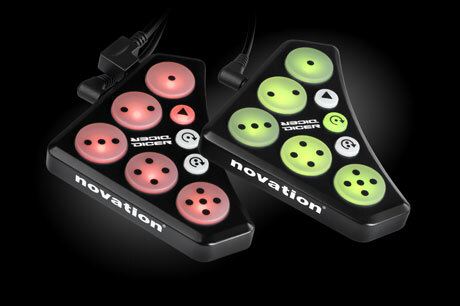 Such is the case with Novation's new MIDI controller. Rather than being a controller that DJs seem to adopt, Dicer is aimed directly at DJs, and quite specifically Scratch Live DJs using Technics turntables. And if you didn't get that from the teaser pictures then you should hang your head in shame. Hell I even gave you the name with my "dicing with journalist death" comment.